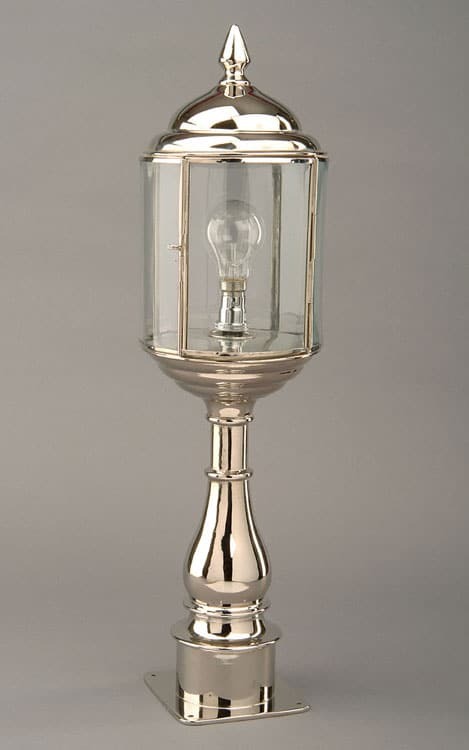 Stunning nickel plated solid brass period outdoor pillar lamp with Art Deco features. 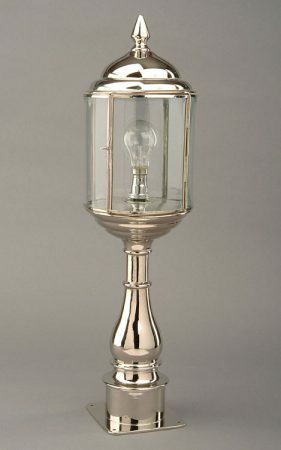 The Wentworth outdoor post top light is made from nickel plated solid brass that has not been lacquered. From our solid brass nickel plated priod outdoor lighting selection. Handmade in the UK and finished to order. Timeless replica lighting made to last a lifetime.